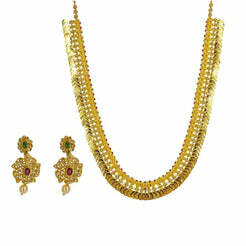 2.6CT Diamond Paisley Link Necklace & Earrings Set in 18K Yellow Gold for women. 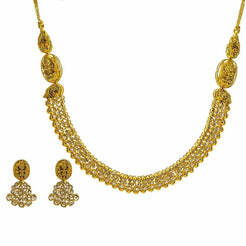 Stunning occasional wear jewelry set with paisley frame set with brilliant diamonds. 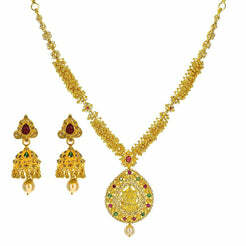 Interchangeable pendant feature with floral frame design. Gem choices between ruby, emerald or sapphire.Set comes with matching drop earrings with screw back closure. Gold weight is 30.7 grams.